The fleet of your dreams starts with one Grasshopper. As a landscape contractor, your business is your reputation, and your reputation is your business. You need a mower with a reputation for durability, longevity and the best cut quality in the industry. 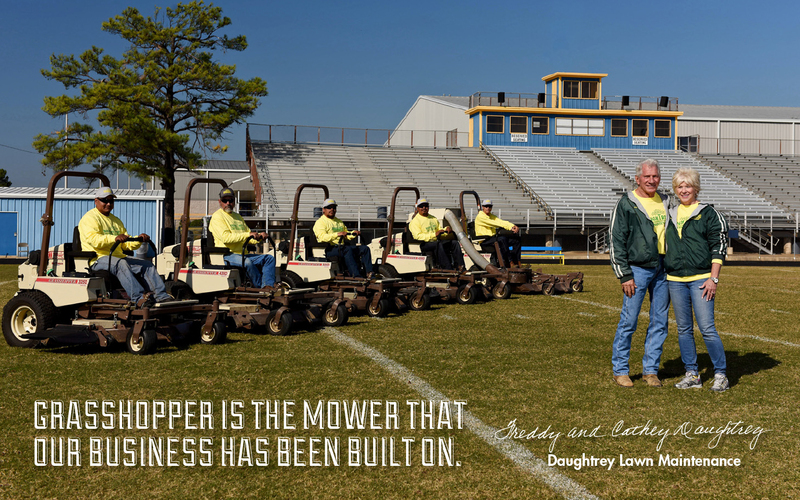 Take your business to the next level with a best-in-class, built-to-last Grasshopper Mower. Request a quote or a personal demonstration today! * Qualified Fleet Buyers are defined as a full time contractor or grounds maintenance professional who owns multiple commercial riding mowers (two 36" or larger walk-behind mowers equal one commercial riding mower). No prior purchase of a Grasshopper necessary to qualify. All new, unregistered Grasshopper models are eligible for this program. Buyer must purchase minimum combination of power unit + deck. Contact Hilltop Lawn & Garden Inc for full fleet program details.